Are you agitated day in and day out with the junk and unwanted items that are cluttering up your home? Do you feel like the task of taking this on alone is just too much to handle? Do you live in the Fort Worth, TX area? If any of these strike a cord with you personally, then I have great news! I have the solution to your junk problem.. The Stand Up Guys Junk Removal Crew! 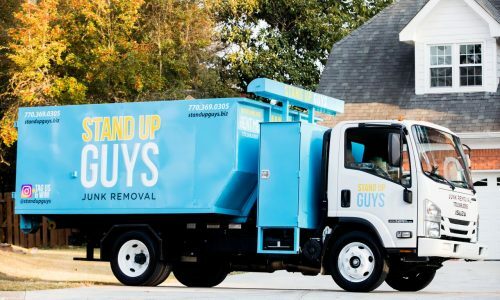 The Stand Up Guys have long been the number one junk removal and hauling service in the Fort Worth, TX. The residents and businesses look to The Stand Up Guys for all their junk removal needs for many reasons. One of the biggest reasons people keep coming back to The Stand Up Guys and why they keep telling their friends, is because once you hire us, your job is done. All you have to do is point out what you want to get rid of, and The Stand Up Guys will take care of the rest. We’ll manage all the heavy lifting, loading, clearing, cleaning, hauling and disposal. Yup, we do it all. 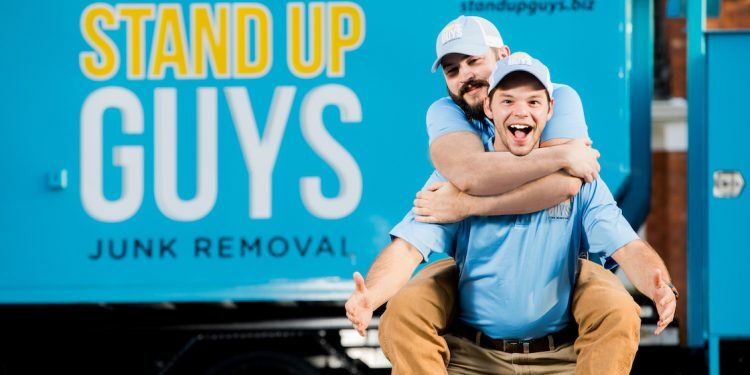 The Stand Up Guys have also earned a stellar reputation with Fort Worth because of our constant efforts towards perfecting our most important task of all; customer service. At Stand Up Guys, the customers are the number one priority at all times. We do all that we can to ensure that our customers are not only 100% satisfied by our work, but WOW’d by it. To us this isn’t just a business of hauling junk, this is a business of people and making our customers happy. Forth Worth is quite a place, a lot of times the city getting lumped into talks with Dallas, when in reality Forth Worth does a pretty good job of standing all alone. Fort Worth is easily one of the largest cities in Texas (5th to be exact), and even one of the largest cities in the entire country! Yup, Fort Worth is the 16th largest city in the United States! Didn’t expect that did you? How about this too.. Fort Worth has over 830,000 residents that call the great city home! Also one of the largest counts in the United States. There is a lot more to Fort Worth than people on the outside realize. The city itself has a ton of history. Fort Worth dates back to 1849 when it was started as just an Army outpost on a bluff overlooking the Trinity River. The city is now known for it’s several world-class museums and architecture. Because of it’s geographical location in Texas, Fort Worth became the epicenter of cattle drives, and the ranching industry. Fort Worth was then given the nickname of “Cowtown”. During the Civil War though, Cowtown became depleted of both money and population. There was as little as 175 people in Fort Worth around that time. Soon after the aftermath of the Civil War though, the city recovered and soon thrived. The city of Fort Worth has steadily grown since the Civil War and turned into the great place it is today. Now the people of Fort Worth have perks beyond belief. There is so much to love about this great city and it just keeps getting better and better. One of the best perks to living in Fort Worth though, is the fact that you have access to the greatest junk removal crew on the map; The Stand Up Guys Junk Removal Crew!